Chuck Pinson There are 2 products. 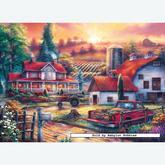 A 1000 pieces jigsaw puzzle made by Masterpieces (reference 71025). Size: 63.5 x 63.5 cm (= 25.0 x 25.0 inch). Special series: Chuck Pinson. In stock and ready to ship out. 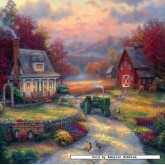 A 1000 pieces jigsaw puzzle made by Masterpieces (reference 71116). Size: 48.9 x 60.3 cm (= 19.3 x 23.7 inch). Special series: Chuck Pinson. In stock and ready to ship out.